If the unthinkable happens and you have to file a nursing home or assisted living facility lawsuit, here is some guidance to help you choose your lawyers and understand the process. A nursing home lawsuit is a type of medical malpractice lawsuit—they are costly, emotionally draining, and long. While we have had quick settlements in nursing home cases when the care is extreme, that is the exception rather than the rule. Done right, however, these lawsuits can help families achieve a sense of justice; can alert the community to the dangers of a particular nursing home or health care provider, and can even contribute to change the culture of mistreatment and mismanagement in nursing homes. Medical Records from the nursing home or any related hospitalizations. When was your last jury trial? : If your lawyer hasn’t tried a case to a jury in the past three years, that’s a red flag. You do not want a lawyer who is afraid to go to trial—those lawyers are more willing to settle cases for less than full value, which is not the memory that your loved one deserves. This information gives you an idea of some of our results at trial. Are you involved in any associations? : Your lawyer should be a member of organizations that provide continuing legal education (CLE). Your attorney should receive publications and should have recently attended some types of nursing home or medical malpractice seminar. How many nursing home or medical malpractice lawsuits have you settled or taken to trial? : If that number is not, at least, ten, you should find out why. Most likely, in our opinion, the answer is that you should keep searching for a lawyer better qualified to handle your nursing home malpractice claim. How often will we communicate? : You should talk with your attorney at least once a month. Sometimes there won’t be anything to report, but it’s important for your case to stay on the lawyer’s radar. How long will the case take? : No one can ever know the answer to this question, but the lawyer can give you averages. In Maryland, most nursing home malpractice cases take one to two years to get to trial from the day the case is filed. The investigation phase may take between three months and a year, depending on how complicated the medical situation is, and how many experts the lawyer will need to hire. What is a realistic outcome? : This most important inquiry is always a tough question, and no lawyer should ever make you any promises (particularly before they have seen any evidence or talked to any experts). 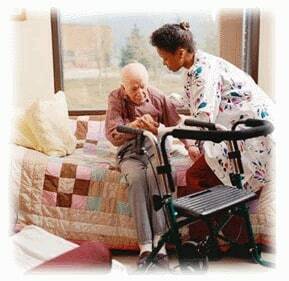 But, they can explain some major factors in the value of nursing home lawsuits generally, including Maryland’s medical malpractice damage cap, distribution among surviving beneficiaries, and the cost to repay insurance liens or Medicare/Medical Assistance liens. It is important that you and your lawyer be on the same page concerning the value of the legal claim. When your lawyers have the initial documents from you, they will investigate the claim. This will include obtaining copies of all medical records from the nursing home and from hospitals who saw your loved one during the nursing home stay. It may also require copies of medical records pre-dating the nursing home admission to get a better idea of your loved one’s medical condition upon admission. Armed with these medical records, your lawyers will consult with expert medical witnesses, including possibly nursing home medical directors, internal medicine physicians, wound care specialists, and registered nurses. If the relevant experts agree that the nursing home failed to do what they were legally required to do and if the experts agree that those failures caused the injury, then your lawyers will draft and file a lawsuit. The first step in a lawsuit is discovery. All parties will exchange written discovery, including interrogatories, requests for production of documents, and requests for admission of facts. Your lawyer will take care of most of this, but will need to speak with you about the proposed answers to make sure that some details are correct. Also, most nursing home cases include depositions. You have the right to attend all depositions (though most clients choose not to). The nursing home’s lawyer will probably want to take your deposition. This is a recorded series of questions and answers. Your lawyer will prepare you for the deposition, and will be there with you for the deposition. After discovery is completed, the case will move toward trial. Some cases settle by negotiation between the lawyers, and some cases will get set for mediation. The trial will likely last between four days and a week. The plaintiff should plan to be there every day. The lawyers will give opening statements to the jury, which is an outline of how they expect the case to proceed. The plaintiff will need to testify—your lawyers will spend ample time with you to prepare you for what you will be asked. It can be a nerve-wracking situation, but your lawyers should give you the information you need to make you as comfortable as possible. After your lawyer presents his evidence—your statement, the medical evidence, and other witnesses, the defense lawyer gets to do the same thing. The lawyers then give closing arguments—a summary of what happened and what they want the jury to do. The jury will then go back into their room to decide the case. If you need to know whether you have grounds to bring a nursing home medical malpractice case, contact our medical negligence attorneys at 1.800.553.8082, or get a free online evaluation of your potential case. Our experienced nursing home attorneys will evaluate the conduct of the nursing home employees, and let you know if your loved one’s injury or death was preventable. How does a nursing home lawsuit progress in Maryland? Sample Nursing Home Lawsuit Forms, Pleadings, Etc. 2016 Maryland Nursing Home Lawsuits This is an example of some different types of nursing home lawsuits filed in Maryland in 2016. These include a summary of what happened in these case and comments on the merits of the claim and how these particular suits play out.